Though it is the fastest-growing religion in the world, Islam remains shrouded in ignorance and fear for much of the West. In No god but God, Reza Aslan, an internationally acclaimed scholar of religions, explains this faith in all its beauty and complexity. Beginning with a vivid account of the social and religious milieu in which the Prophet Muhammad forged his message, Aslan paints a portrait of the first Muslim community as a radical experiment in religious pluralism and social egalitarianism. He demonstrates how, after the Prophet’s death, his successors attempted to interpret his message for future generations–an overwhelming task that fractured the Muslim community into competing sects. Finally, Aslan examines how, in the shadow of European colonialism, Muslims developed conflicting strategies to reconcile traditional Islamic values with the realities of the modern world, thus launching what Aslan terms the Islamic Reformation. 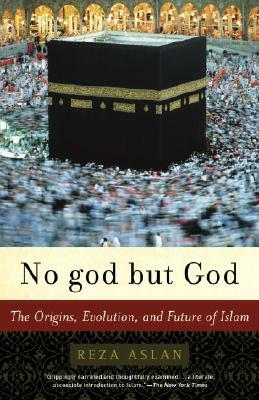 Timely and persuasive, No god but God is an elegantly written account of a magnificent yet misunderstood faith. REZA ASLAN has studied religions at Santa Clara University, Harvard University, and the University of California, Santa Barbara. He holds an MFA in fiction from the Writers' Workshop at the University of Iowa, where he was also visiting assistant professor of Islamic and Middle Eastern Studies. His work has appeared in "USA Today," "U.S. News & World Report," and "The Chronicle of Higher Education" as well as a number of academic journals. Born in Iran, he lives in Santa Barbara and New Orleans. "From the Hardcover edition."